Surprise! You’re going to Disney World! I often help my travel clients with booking surprise trips for their children to Disney World. My daughter has visited the World going on twenty times since she was born so surprising her has never been doable. This year, the hubs and I crafted a quick trip to Disney near her birthday to celebrate. Amazingly, we kept it a surprise until we parked at the airport to fly to Orlando! She had no idea and it was great to finally be able to pull one over on her! We flew to Orlando on Friday morning, arriving around 9:30am. From there, we went straight to Downtown Disney and shopped, stopping for lunch at T-Rex Cafe. The food there was yummy as always and we enjoyed sitting at the Octopus bar for the first time and watching the aquarium as we dined. I was tempted by the Amphicars at the Boathouse restaurant but not enough to shell out $125 to ride for 20 minutes. After Downtown, we went over to the Boardwalk resort to check in to our room. We had to wait a bit for the room to be ready so we explored around the resort as it has been awhile since we stayed there. Everything looked fresh as the resort has been undergoing renovations this year. 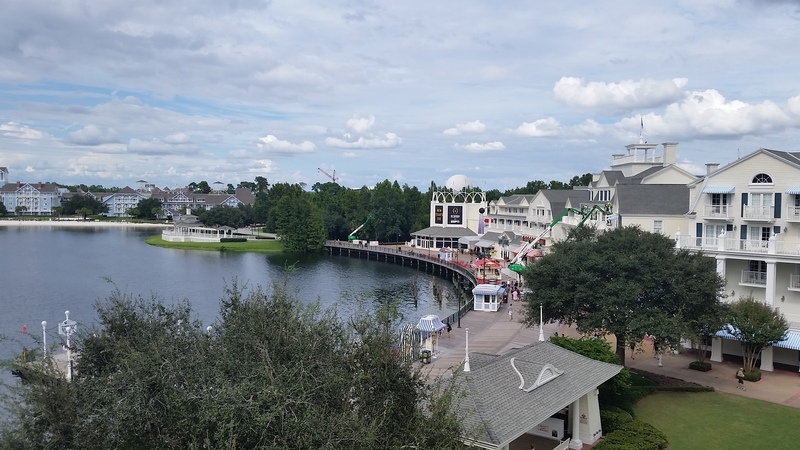 When we checked in, we were delighted to have gotten a room upgrade to a Boardwalk view, which was spectacular! The room itself had been renovated already which was super nice with all new furnishings and soft goods. Dinner was next, taking us to Trattoria al Forno on the Boardwalk. This is a relatively new restaurant that moved in to the space formerly occupied by Kouzzina by Cat Cora. Trattoria is SUPERB! 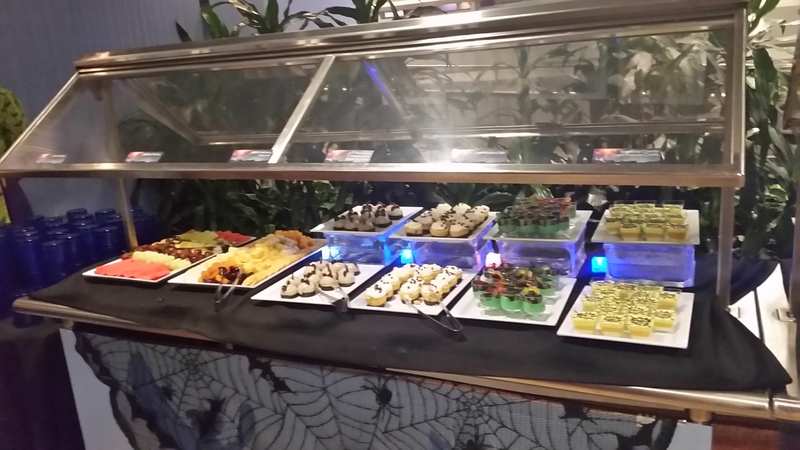 This restaurant reminded be a great deal of Palo on the Disney Cruise. We all greatly enjoyed our server and meal. Definitely will be a place we stop next time we’re at Boardwalk. 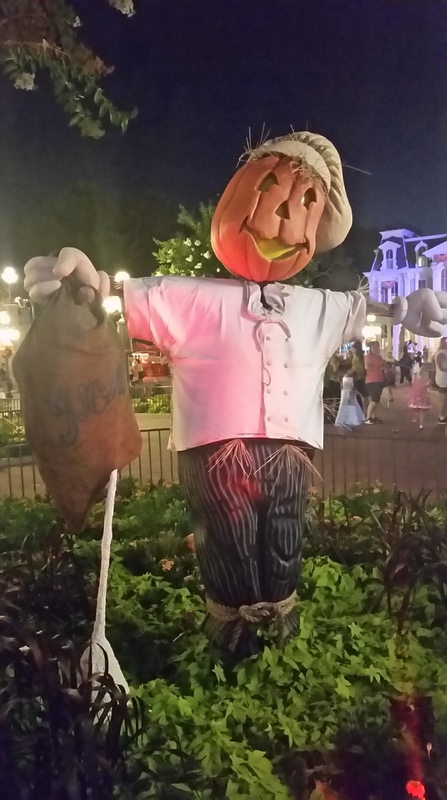 After dinner, it was Mickey’s Not So Scary Halloween Party time! For this special, hard-ticketed event, the Magic Kingdom closes at 7pm and re-opens to guests with party tickets. 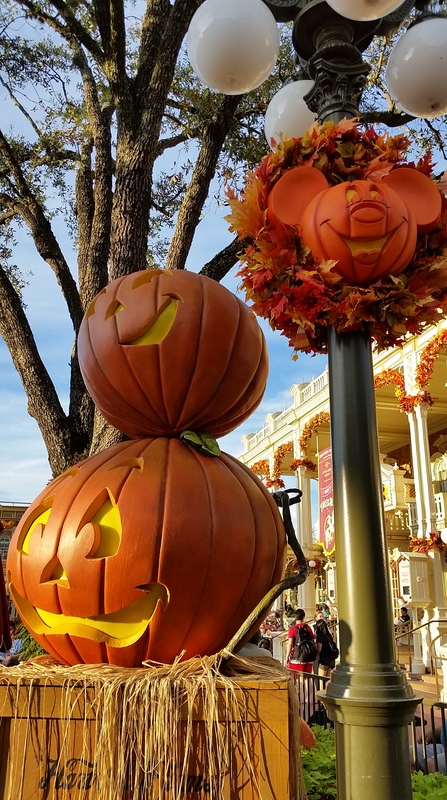 From 7pm to midnight, you enjoy a special Boo To You parade, Hallowishes fireworks, trick-or-treating around Magic Kingdom, special character appearances, all guests can come in costume, and the majority of the attractions remain open. We LOVE Not So Scary and have been several times in the past. 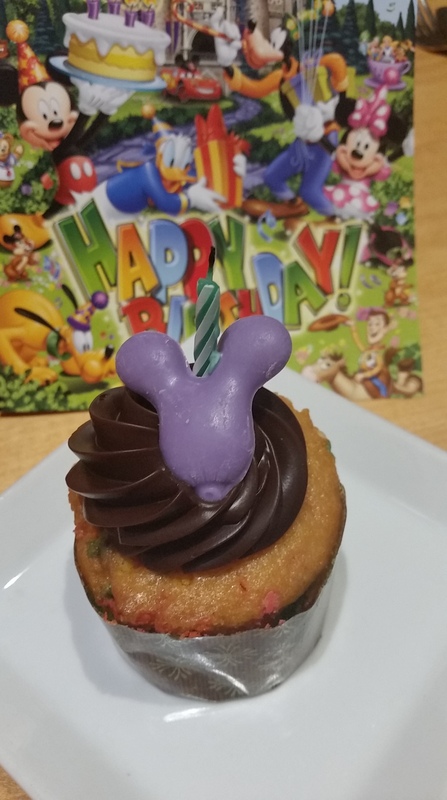 This year, to celebrate the birthday, we opted to add the Hallowishes Dessert Party for an additional cost. It was expensive but worth it as the cost included reserved seating for the parade and Wishes as well as the dessert party itself. Their little treats are so delish! After we pigged out and enjoyed the park more, we closed Magic Kingdom down at midnight and crawled back to Boardwalk for some much needed sleep. The sleep was short-lived though as we got up for an early seating at Cape May Cafe at the Beach Club resort, just a quick walk over from Boardwalk. Cape May is a buffet and features Minnie, Goofy, and Donald in their beachwear finest. The typical breakfast fare is offered at Cape May including the ever popular Mickey waffles plus a crepe station; I love some crepes! A birthday song and autographed card wrapped up the meal. The last stop was to pack up the room and head over to Typhoon Lagoon for some fun in the sun. It was super hot and humid these two days so the waterpark was a great place to spend the rest of our time. Gangplank Falls, the family raft slide, was so much fun that we rode four or five times in a row. The hubs and kiddo loved the fruit slides at the Crush n’ Gusher. I loved the shallow pool area nearby so I could watch them shoot out of the slides and just relax in the water. I loved it so much that I sunburned myself fairly well while enjoying the water. Sheesh. As always, the wave pool didn’t disappoint and I think we spent at least half of our total time in the park enjoying the waves. After about five hours, it was time to dry off and get over to the airport to come home. Boo! We finally pulled into the driveway around 11:30pm and crashed shortly thereafter. So our quick trip was less than 48 hours but filled with so much fun! We all agreed that while we were only gone such a short amount of time, it felt like a much longer trip since we packed so much excitement into it. Would we do it again? You bet. In fact, I’ve already got the next short trip booked. Stay tuned! ← Back to the sand, saltwater, and good times with the fam!